Egyptian born and Qatar-based Shaykh, Prof Dr Yusuf Al-Qaradawi who is the Chairman of the International Union of Muslim Scholars wrote a letter to his daughter Ola, who has spent an entire year imprisoned in solitary confinement in Egypt. In his letter he protested the injustice that she has been suffering, and how his heart burns at her being subjected to a “deliberately slow execution”. He added: “A year ago she was taken away from her home, her children, her grandchildren, her father, and from her brothers and sisters, to be put in solitary confinement that strips the individual of any rights and stops them from doing anything. Why? Simply because she is the daughter of al-Qaradawi, and she has Qatari citizenship. There’s no doubt that they (the Egyptian state) subjected a weak individual to this punishment to get back at Qatar and al-Qaradawi”. 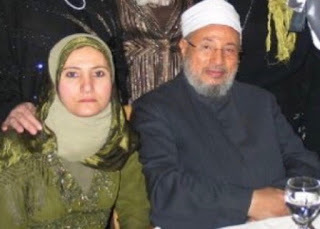 The authorities arrested Ola al-Qaradawi and her husband Hossam Khalaf in early July 2017. She has since been held in solitary confinement in al-Qanaater Women’s Prison. Human rights organisation, Amnesty International has already concluded that the way the Egyptian state has dealt with her case amounts to torture by international standards.